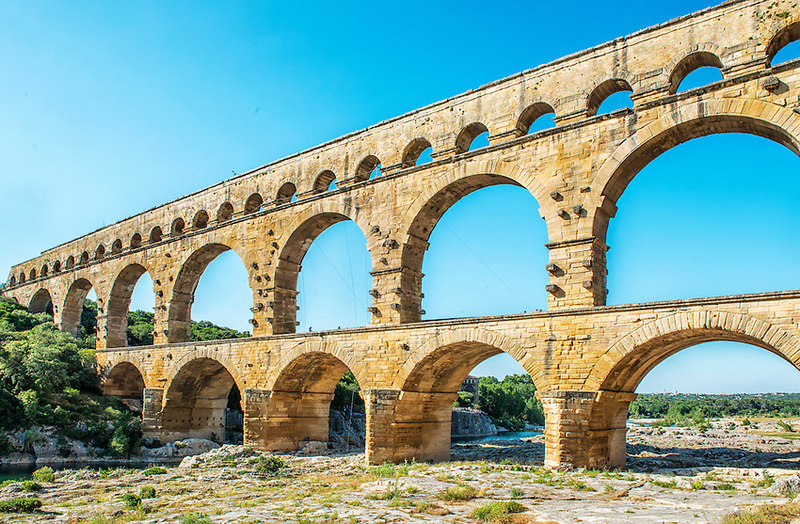 The Pont du Gard is a Roman aqueduct built in the 1st century AD, as part of a 50-kilometer aqueduct system. It crosses the Gardon River in southern France. It is a World Heritage site and one of the most popular tourist attractions in Europe.